Teeth straightening through orthodontics help in the improvement of not only the aesthetic aspect of a person’s smile – but also helps improve the overall function of the teeth as well. 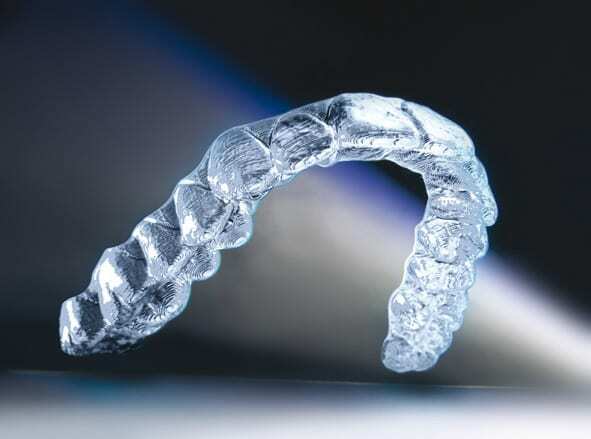 Orthocaps twin aligners technology clear braces by a Kent dentist offer patients with a modern approach to get teeth that are properly aligned, with the least inconvenience and discomfort possible. What is Orthocaps twin aligners technology , and how do they work? Orthocaps twin aligners are a series of clear aligners that are custom-made specifically for you; the virtually invisible plastic aligners are created to be worn over teeth in a discreet manner – so no one needs to know that you have an orthodontic device working its magic on your teeth. Orthocaps twin aligner will gradually move the teeth into their desired position, with the gradual movements based on the plan mapped out by a Kent dentist or orthodontist. Unlike traditional metal braces, there are no brackets or metal wires attached to Orthocaps twin aligner clear braces – this means that there is no need for periodic tightening of the wires, and there will be no discomfort from having the metal parts inside the mouth. The orthodontist or dentist in Kent will simply replace the Orthocaps twin aligner clear plastic aligners according to a specified schedule (usually every three weeks) to facilitate the teeth straightening process; the clear plastic aligners will be replaced until the desires teeth alignment is achieved – and teeth are straightened according to the treatment plan. The aligners that are used in the Orthocaps twin aligner braces system are so clear – they are virtually invisible. This is ideal for those who want to have their teeth straightened, but would like to do so in a very discreet manner. Using Orthocaps twin aligner clear braces will allow you to straighten your teeth without feeling embarrassed about a mouth full of metal wires and brackets – which will be the case when using traditional metal braces. With the Invisalign system, it is now possible to have perfectly aligned teeth without the embarrassment of having a “metal mouth”. Orthocaps twin aligner clear braces are very effective in straightening teeth that are crooked, so you can flaunt the perfectly-aligned teeth you have always wanted after using this modern approach to teeth straightening. Misaligned or crooked teeth can gradually but effectively be addressed with Orthocaps twin aligner clear braces – with results that are amazingly efficient. There are no food restrictions when you are using Invisalign clear braces; this is because you can easily remove the clear plastic aligners during meal times. You can still enjoy your favourite food items without having to worry that the Invisalign clear braces aligners will be damaged, since you will get to enjoy the food without the aligners in your mouth. The clear aligners used in the Orthocaps twin aligner can be removed whenever necessary; you can remove the aligners when it is time to brush your teeth. This convenience makes it possible for you to maintain good oral health, because it is easy to clean your teeth in the way you are used to doing. The possibility of food particles getting stuck (and staying there for a long time, causing tooth decay) in between the teeth and the aligners is eliminated. With Orthocaps twin aligner clear braces, you can maintain a completely clean mouth – and straighten your teeth – without any difficulties. The removable feature of Orthocaps twin aligner clear vastly reduces (or even eliminates) the possibility of having these common problems when having orthodontic treatment: tooth discolouration, breakage or damage to the metal orthodontic brackets, tooth decay (due to inadequate tooth brushing or dental flossing), plaque build-up, pain and difficulty when eating, and mouth sores. Orthocaps twin aligner clear braces feature clear aligners that have smooth, rounded edges that will not irritate gums and the sensitive inner lining of the cheeks. With the Orthocaps twin aligner system, it is now possible to have straightened teeth without having to go through the discomfort of having sharp, irritating metal wires and brackets rubbing against gums and the inner lining of the cheeks. Orthocaps twin aligner clear braces by a Kent dentist or orthodontist are custom-made for every single patient or individual; this means that the aligners will be created according to a specific individual’s mouth impression. The result is Orthocaps twin aligner system aligners that fit perfectly over one’s teeth and inside the mouth; the custom-made aligners will feel so comfortable inside your mouth, that it will be very easy to forget that you have them on – and are having your teeth straightened at the same time!